Last year, I received an answer to my long time prayer - spiritual growth. You see I've been a Christian since second year college, but it was only in 2018 that I learned to fully surrender everything to God. Finally I received power from the Holy Spirit to say no to sin, to spend quality time reading the Bible and to serve and engage in the church community. I am at my happiest in almost 9 years of accepting Jesus as my Lord and savior. To grow spiritually in faith must be in every believer's desires. We have to aspire to be more like Christ in the way we live. As we walk deliberately with Him our faith grows. If you want to grow spiritually this 2019, today let me share the things that worked for me last year. It is my hope that as you set goals in areas of your life such as finances, travel, etc. you will also take time to ponder upon growing in faith too. Sincere prayer is powerful communication tool to God. Through prayer we can talk to God anytime, anywhere. This 2019 put prayer as part of your daily rituals. Start and end your day with a prayer. Prayer is a good way to spend time with God and it is free. You can pray even in the midst of fulfilling a task like walking, washing the dishes or during your commute. Make conversing to God a habit and not just when you have something good happens in your life. If you haven't experienced growth in your spiritual life, I urge you to pray for it. It worked for me, there's is no way it cannot work for you too. In the right time, God will surely bless you with spiritual intimacy to hear His plans and promises for your life. Quiet time is an hour (or more) a day spent in prayer, private meditation, worship of God or study of the Bible. It is your own date, alone time with God. Quiet Time is a time of encouragement, strengthening, and insight to the Christian, and "spiritual food" for a person’s soul. They suggest that it is a "time of complete focus on God" that "continues throughout a person’s entire life. Source Wikipedia. Daily Quiet Time is a great way to grow spiritually this 2019. It is in here that we experience intimacy with God by reading His very words. We begin to get to know Him, His promises, His commands, His warnings, His ways, and more. Almost every person in the Bible who was used by God have spent time with Him from Noah, Abraham, Daniel, Paul). Personal alone time with God prove to be a great source of strength making sure you are fully nourished by His Words. If you haven't experienced growth in your spiritual life, then maybe you are not spending quality alone time with God. Starting one is easy. Do not stress on finding the best or the right way to do it. Just sit down, take a notebook, say a prayer and read a chapter from the Bible. At the end of your reading write down your application in the notebook. Meditate on what you have learned from the Word you just read and apply it to your life. Currently I am using Jesus Calling by Sarah Young and it has been life-changing for me. It has helped me dive deeper into the scriptures. You can easily get these devotional books at leading boosktores or better yet visit OMF Lit Store in Greenbelt 1. If you haven't experienced growth in your spiritual life, try starting your day with a devotional book of your choice. Read what is written for the specific day and ponder upon how it applies to your current situation. 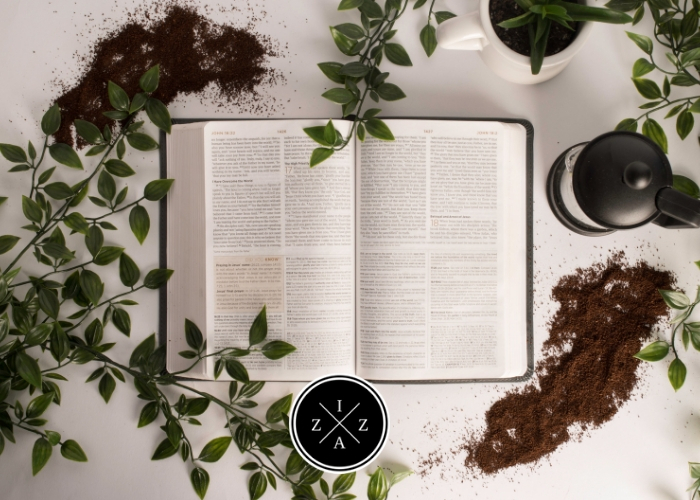 Some devotional books offer Bible verse references, use these verses as part of your Bible reading. A faith journal is a good way to organize your prayers, notes from your quiet time and devotionals. The content of your faith journal depends on you. It can hold your prayers, affirmations, favorite verses from the Bible, gratitude list, your love letter to God and more. I use my faith journal to keep my prayer list, my Bible reading schedule, my sermon notes and my quiet time study using S.O.A.P. Method. 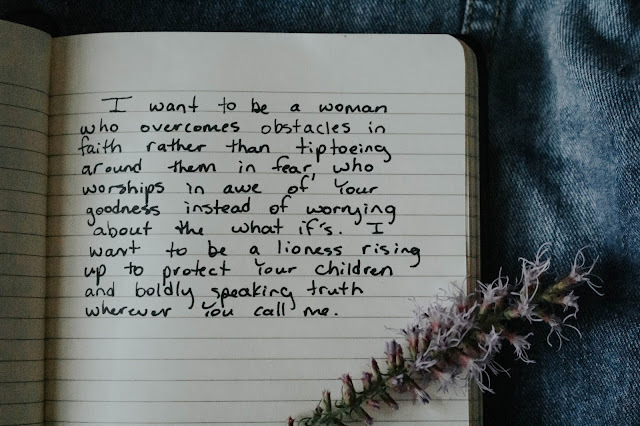 Keeping them all in a binder notebook helped me go back and forth to what God is telling me. It definitely helped me remember the faithfulness of God in every areas of my life. If you haven't experienced growth in your spiritual life, I encourage you to keep a faith journal to record your walk with Christ. Journal or writing may seem like a daunting task but I promise you it is a worthy habit to do especially as Christians. Another factor that helped me grow spiritually last year is being surrounded by Godly people. The church community where I am currently in has been nothing but good influence in my spiritual journey. Knowing that I have people who will listen to me, pray for me and be there for me made all the difference. I am not alone in my walk with Christ. If you haven't experienced growth in your spiritual life, allow yourself to be with other believers as well. It's good to have wise counsel who can provide godly advice, correct you when you are backsliding and mentor you in spiritual maturity. If you are attending church at Victory, I highly recommend being part of a Victory Group. Studies, conferences and other church programs are good ways to grow in faith this 2019. You can see more spiritual growth and change in your walk with Christ when you are gathered with other believers, studying with them, listening to talks and being filled with the Word. One of the most memorable church programs I participated last year was the Purple Book Class. Purple Book is one of the many discipleship classes available in Victory Makati. It promotes biblical foundation, strengthening one’s knowledge on different important topics in the Bible. ● What happened during The Fall (Genesis 3) and its significance. ● The sovereignty of God providing us with free will. ● The cost of following Christ which is absolute surrender. ● The importance of devotion. ● How asking questions could change the way you study the Bible. ● We live to be extra generous. Genuine generosity means us trusting God will provide. ● The the gospel must not stop with me, I am called to share the gospel to others. Spiritual Growth takes time. It does not happen overnight. Be patient with how God will move in your spiritual life. Always remember that everything happens according to His timeline. By the power of the Holy Spirit, we can be spiritually disciplined and grow our walk with Jesus. It is really more of how bad do we want it. Do you want it? Hope we both grow spiritually this 2019. 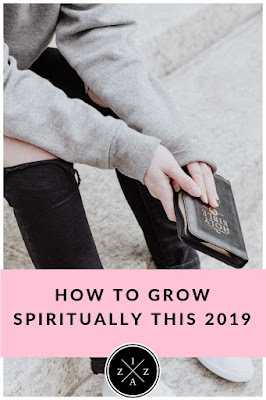 Do you want to grow spiritually this 2019?